Real Estate Co-op Commissions Make a Positive Difference! They asked us to prove it. So, we went into the market as the report below illustrates and provided the data. Then we completed a four property test offering a 4% co-op. The data and the test confirmed virtually the same results. The Denver metro Brokers normal co-ops range from 2.8% to 3.0% (As Reported in our Metrolist Managed System). By lowering gross commissions, it forces listing brokers to lower their co-op. The attached co-op analysis demonstrates the impact of reduced co-op commissions and the negative impact on that asset. 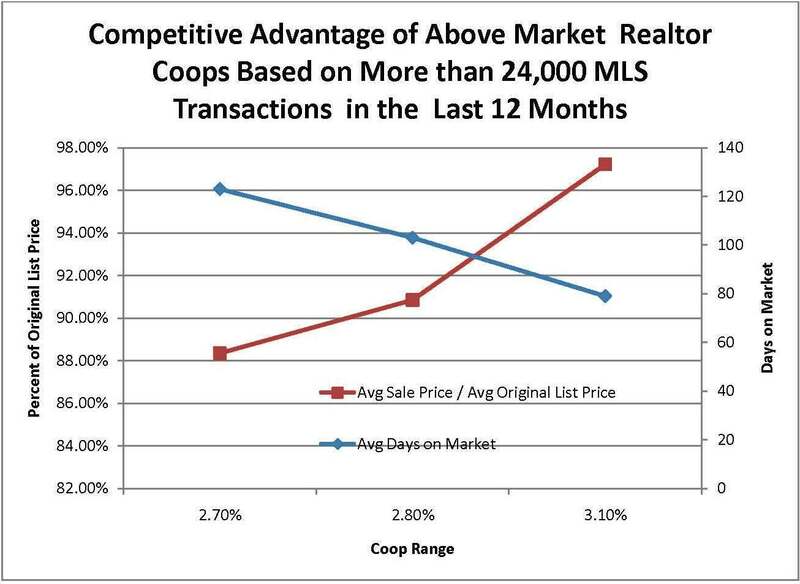 Attached are various co-op analyses and graph from our Denver Metro MLS. Please note how the listing’s performance is positively or negatively impacted in “direct” proportion to the “co-op commissions”. The analysis was based on a data set of over 24,000 single family homes that sold within the last 12 months in the Denver Metro Area regardless of price.